Dr. Malley has been practicing in Orange County for over twelve years in the field of chiropractic medicine. 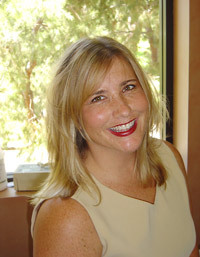 Dr. Malley graduated in 1990 from Chapman University with a Bachelor of Science degree in Movement and Exercise Science. She received her Doctor of Chiropractic degree from Southern California University of Alternative Medicine (formerly Los Angeles College of Chiropractic) in 1993. Additional certifications have included Athletic Training, Advanced Ergonomics, and Qualified Medical Examiner. She has over seven years experience in the field of occupational medicine. She has over twenty years in the sports medicine field. Dr. Malley has completed the Metagenics First Line Therapy Course and is a Certified First Line Therapy provider. Dr. Malley is also trained in the Bagnell technique for Breech Presentation and will be recieving certification for the Webster Technique in April, 2010. Dr. Malley has over 17 years of experience with prenatal chiropractic care. If you have any questions about our Mission Viejo chiropractor, or would like to learn more about chiropractic care at Trabuco Hills Chiropractic, please call us at 949-454-9355 today!